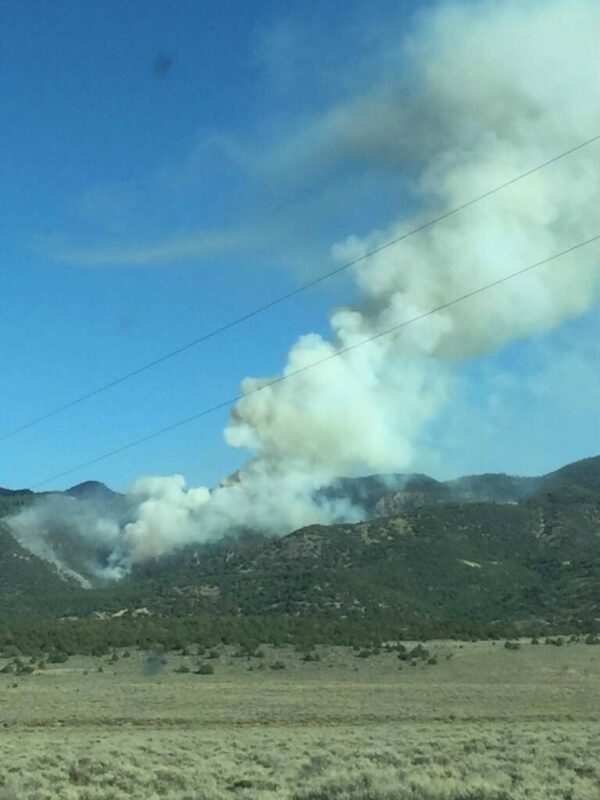 ST. GEORGE – A fire on the northern side of the Pine Valley Mountain Wilderness area is producing a plume of smoke visible from the Cedar City area and beyond as winds carry haze aloft toward the southern side of Pine Valley Mountain. 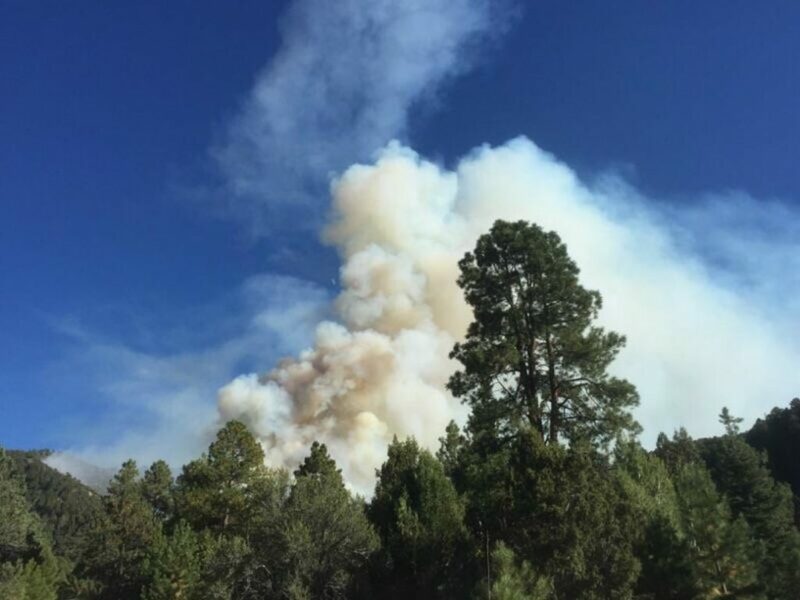 Called the Main Fire, the blaze, which is 57 acres and growing as of 8:30 p.m. Friday, is torching brush and timber in Main Canyon, located approximately 1.5 miles north of Grass Valley near the Mill Flat Trailhead in the Dixie National Forest. 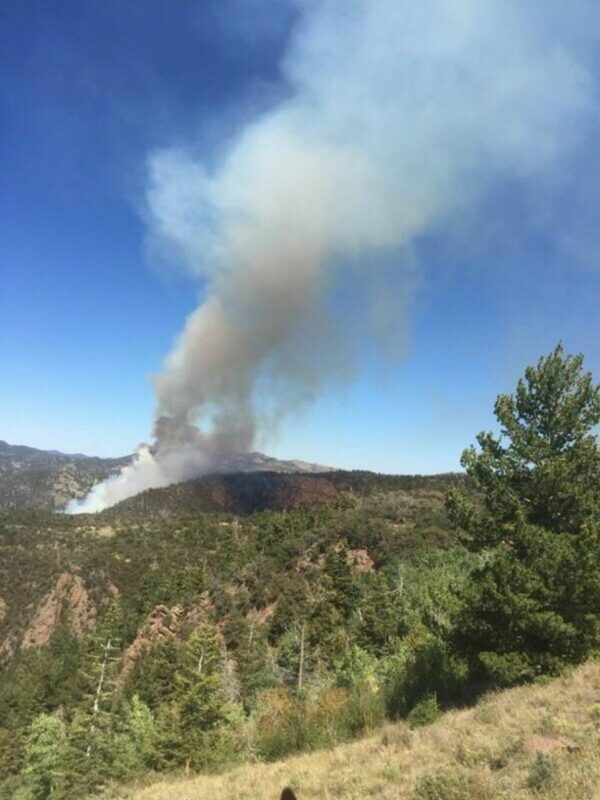 The cause of the fire is unknown and is under investigation, said Marcia Gilles, public affairs manager for the Dixie National Forest. The fire area is covered by heavy dead and downed timber and brush in steep and rocky terrain. It is nonetheless accessible to firefighters on the ground. Thus far no structures are threatened, no evacuations have been ordered and no roads or pathways have been closed due to the fire. Containment is currently at zero percent, though a number of resources have been called in to help combat the fire, Gilles said. 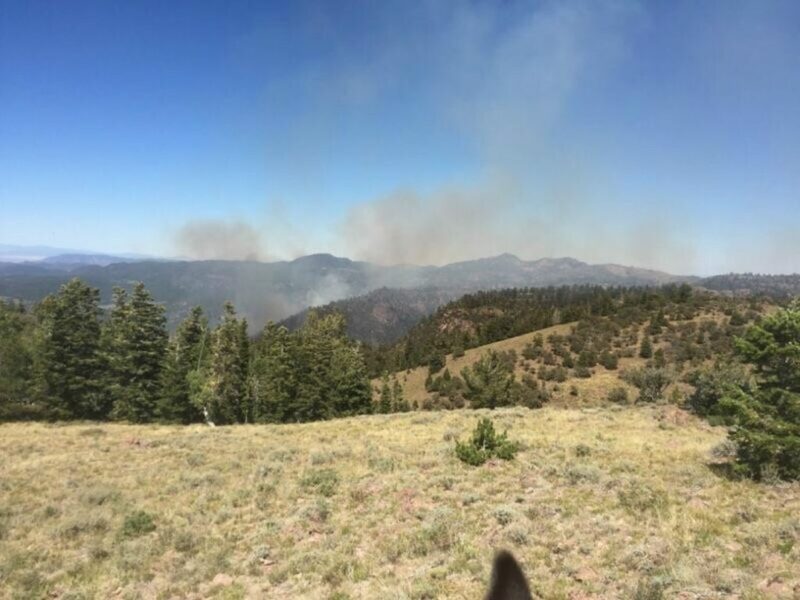 Those resources include two interagency hotshot crews, two hand crews, smokejumpers, a helicopter and four fire engines. 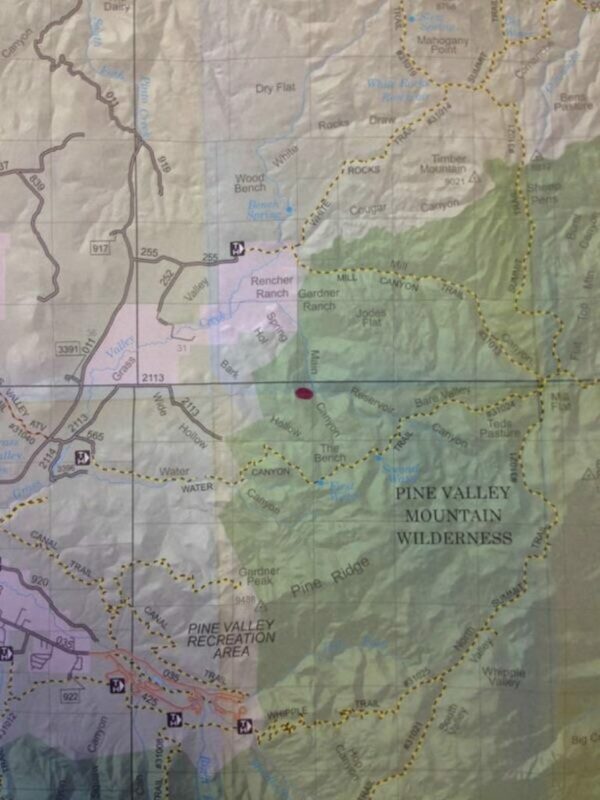 Additional air support has also been ordered and a flight restriction zone will be created accordingly. 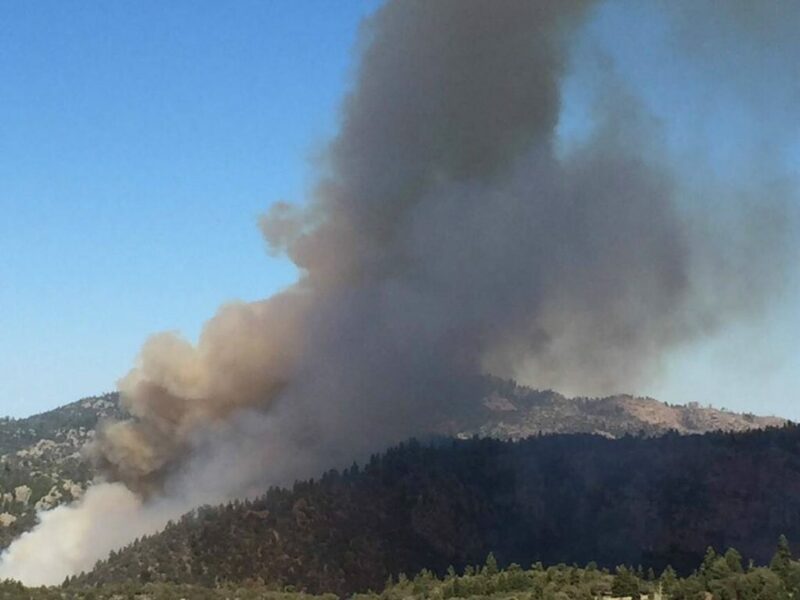 With aerial operations inbound, drone operators are asked to keep their toys away from the fire zone so planes and helicopters can operate in safety. Interfering with aerial operations can carry steep state- and federal-level penalties, including prison time. Under Utah law, any drones found interfering with fire suppression operations can be disabled either through electronic means, or through more traditional means, such as being blasted out of the sky, if fire and law officials deem it necessary. 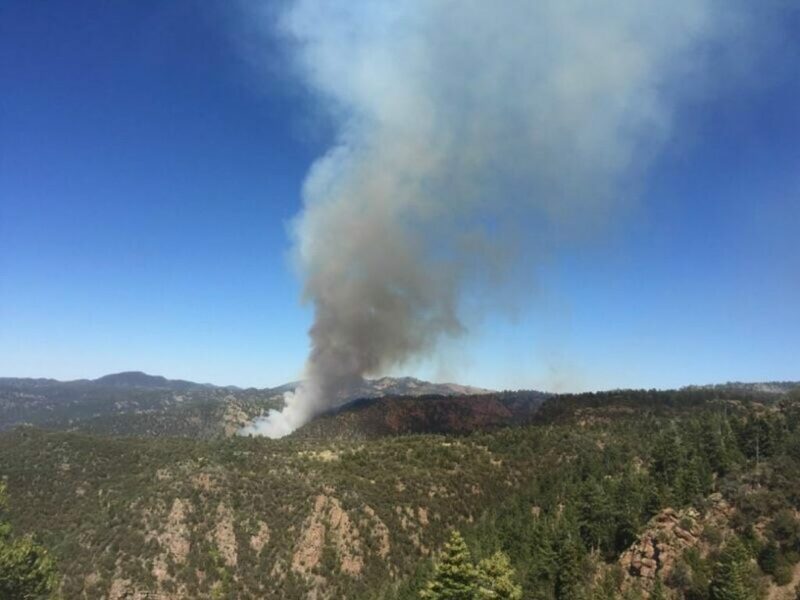 Information about the Main Fire can be accessed on the U.S. Forest Service – Dixie National Forest Facebook page here. My vote is to use the traditional method for downing a drone.